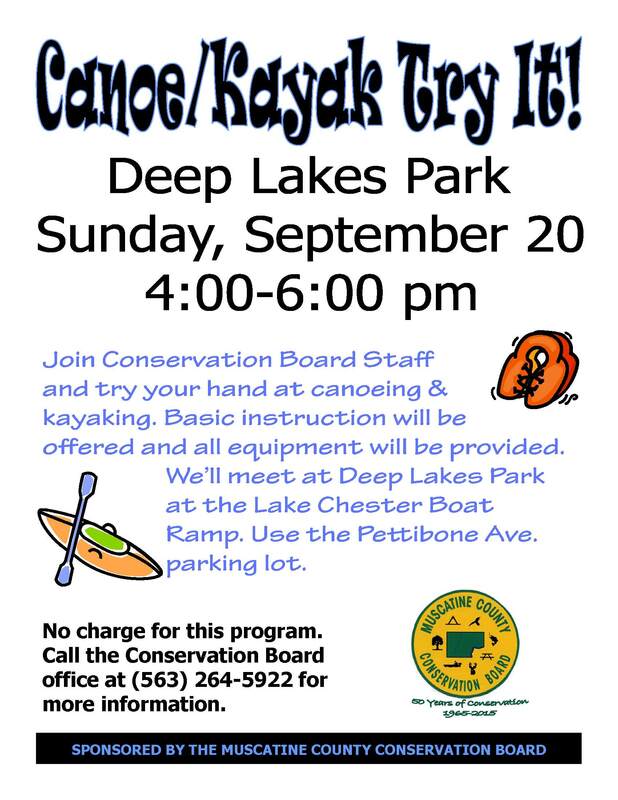 Join Conservation Board Staff and try your hand at canoeing & kayaking. Basic instruction will be offered and all equipment will be provided. We’ll meet at Deep Lakes Park at the Lake Chester Boat Ramp. Use the Pettibone Avenue parking lot.